Home » Workout » Vital Exercises for Every Pre-Game Routine: What Muscles Do Jumping Jacks Work? What muscles do jumping jacks work? Every exercise has particular muscles of our body to move and work, indeed. However, they might differ from one to another. The jumping jacks here are one of the exercises that are important to be done every time before you start your exercise routine or play sports. Spreading legs apart while arcing arms overhead then bring them down as you jump in place is how people used to do jumping jacks. So, what muscles do you think would work when you do this exercise? Let’s find it out right here then so you know that this important exercise is not for nothing. Yes, the calves are one of parts of your body you will feel working when you do jumping jacks. To be exact, there are 2 known muscles here. 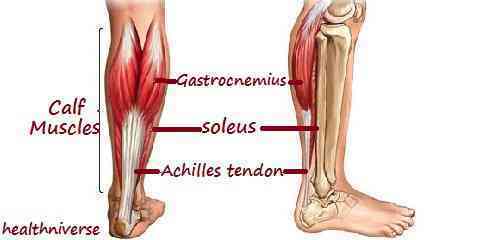 They are gastrocnemius and soleus muscles, to be precise. Both muscles work together to bend your ankles so your heels can be lifted off the floor. There is contraction happening in every jump and landing. You yourself should have been able to feel that. Calves muscles working for jumping jacks prepare our legs to be ready for higher impacts in games. Hip abductors mainly refer to gluteus medius muscle. With the help of gluteus minimus muscle, the medius one will make it possible for you to spread the legs apart. You know it is what’s necessary in jumping jacks, right? On the other hand, the adductors which consist of adductor brevis, longus, magnus, and gracilis, will work together to bring those legs back together. The hip abductors and adductors in jumping jacks sure plays important role for the exercise here. You need to note this. Your legs are not the only one moving when you do jumping jacks. Your shoulders do the same too, right? That is why there are shoulder abductors and adductors, just like the hip before. To make the arms move from body and arc them, you need a portion of deltoid and the supraspinatus muscles to work together. Then, the latissimus dorsi, teres major, pectoralis major, triceps, and coracobrachialis will do their role when you bring the arms down. Shoulder muscles function in jumping jacks as well. Don’t forget that core muscles play role in jumping jacks too. These muscles are what responsible to stabilize every single movement of your body during the exercise. As you might have guessed, they work to keep your balance well. If we have to mention them, those muscles include the rectus and transversus abdominis of the abs, and the psoas major and lower portion of the erector spinae of the obliques. Indeed, balance is vital in every movement. It is all the more so when you do jumping jacks. Otherwise, you won’t land properly.